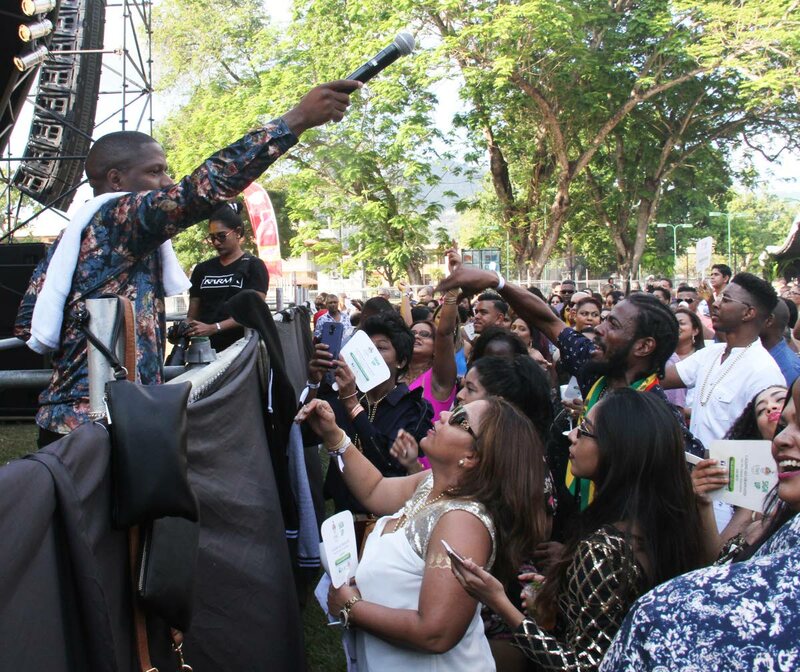 FASHION, food, and music were the toast of Champagne & Gold – the University of the West Indies' all-inclusive Carnival fete which was held on Sunday at the St Augustine campus. And in keeping with the theme of the 29th edition of the fete, champagne lovers frequented the J P Chenet Ice Edition specialty bar but also had the Barefoot Wine & Bubbly bar as a palatable option. No matter which fete you attend, the roast pork option always has the longest line and UWI was no exception. As per usual, Indian, Asian and African cuisines were on the menu. The African Experience food station run by Kondwani Applewhite served an extremely delicious jalapeno and olive quinoa, which summed up the expected UWI experience in one dish. The Manchurian chicken wontons were also very tasty. The eight-hour event also provided a massage area and a beauty top-up zone for the women who wanted to freshen up their make-up. Dil-E-Nadan members Derrick Seales and Renuka. Kes the Band, Karma, Rhapsody NG and Dil-E-Nadan completed the line-up for the live bands. While Karma has been struggling this season with their performances, Dil-E-Nadan and Kes brought some life to the revelry side of the event. 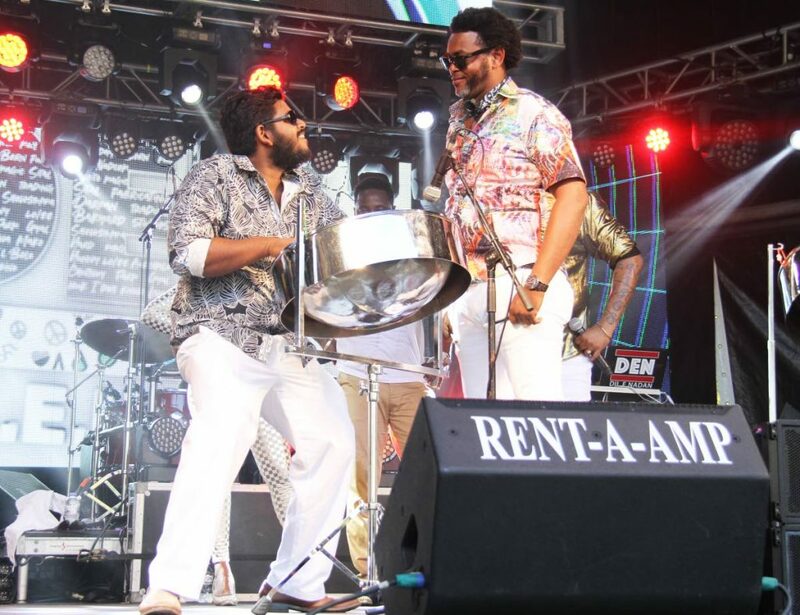 Savannah Grass by Kes was certainly a crowd favourite as it raised the energy of the party more than any other song that was performed on stage. 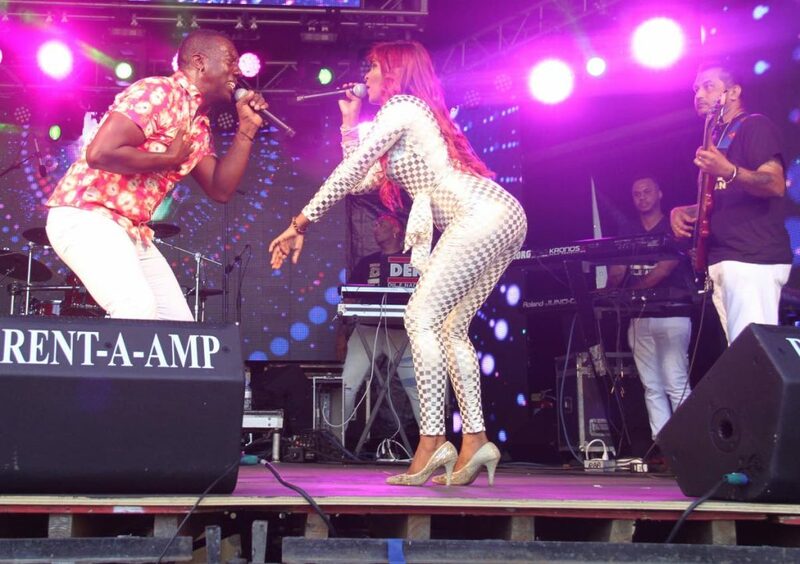 Performing on CD were Erphaan Alves, Nailah Blackman, Sekon Sta, Patrice Roberts and Ricardo Drue. Both Roberts and Drue came off stage and stood on the fencing to see if they could gather energy from the crowd. Roberts made it clear that she didn’t need to team up with anyone to compete in the male-dominated Road March title competition and that she was going to stand strong. She eventually went into the crowd, singing her newly-released road march offering, Judgment Stage. Pannist Dale Gulston, right, listens as Johann Chukaree during their pan shoot-out at the UWI fete. Ace pannists Yohan Chuckaree and Dane Gulston had a pan shoot-out, during the set of Dil-E-Nadan, much to the delight of patrons. Tribute was also paid to the late calypsonian Winston "Shadow" Bailey during the band's performance. On the down side, even though Southex CEO George Singh stated that he is pulling out all the stops to meet the high expectations and prestige of the showcase, the event was lacking in ambiance as is expected for such a highly-anticipated fete with a reputation of pulling out all the frills. There was almost no decor, if any, at all. Backstage, several entertainers complained bitterly that they were not provided with food as per their rider agreement and said that the organisers' representatives were not as humane in dealing with the issue. Proceeds of the event are distributed to students through the UWI Development and Endowment Fund. Reply to "Champagne with style"